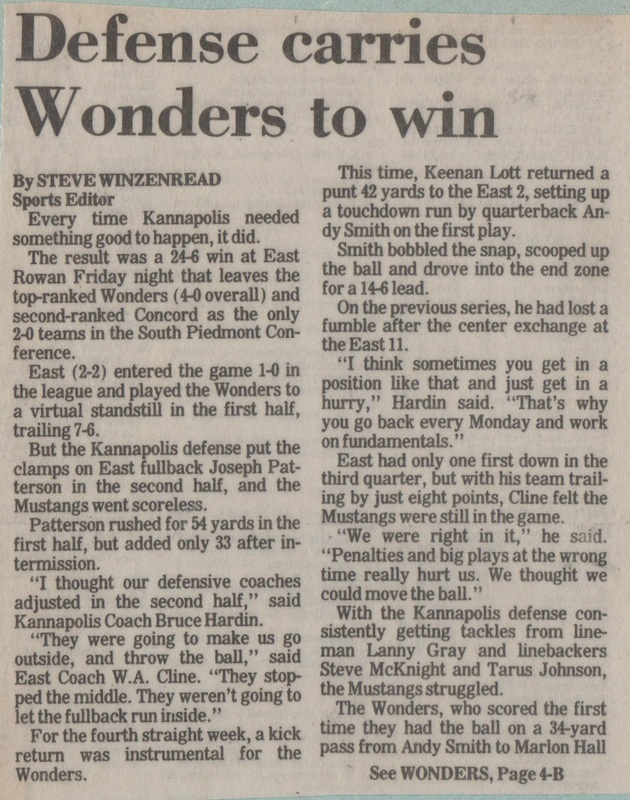 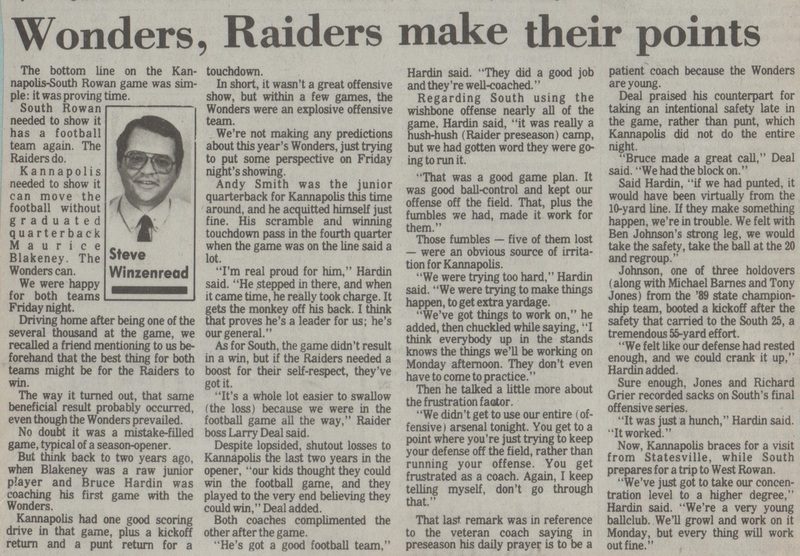 "A Great Effort is Not Enough"
The year is 1991 and the varsity Wonders of A.L. 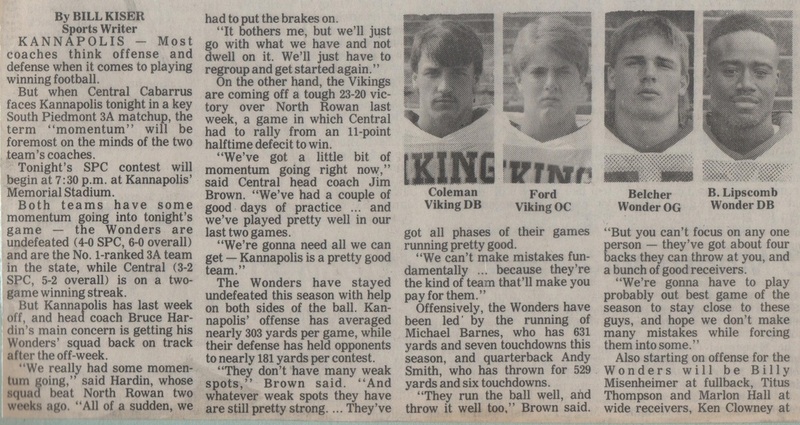 Brown are beginning a new year with big ambitions and a resolve to improve from their last outing in 1990. 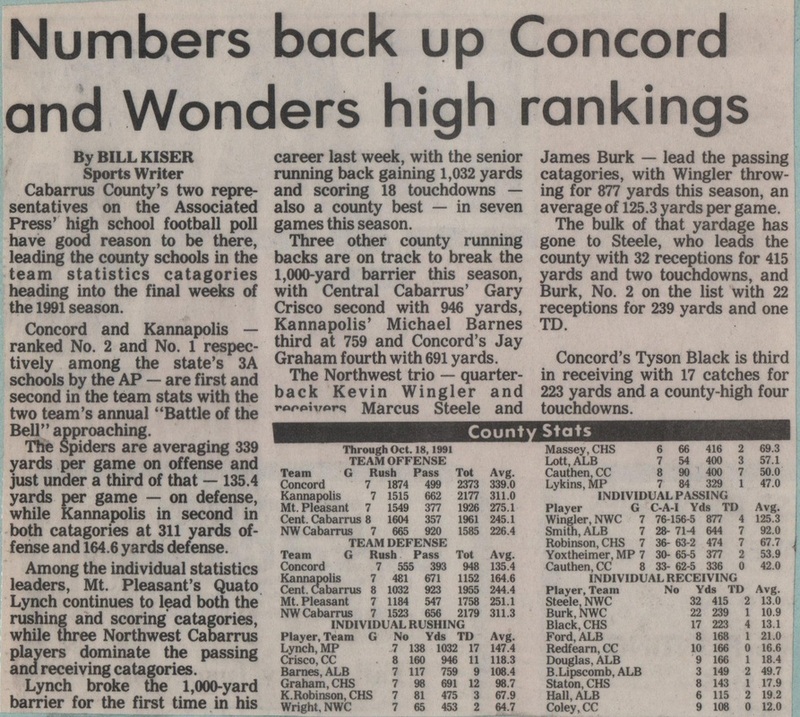 After succumbing to the Statesville Greyhounds in round three of the the state AAA playoffs 21-14 the Wonders were once again looking to redeem themselves and get back to state championship form. 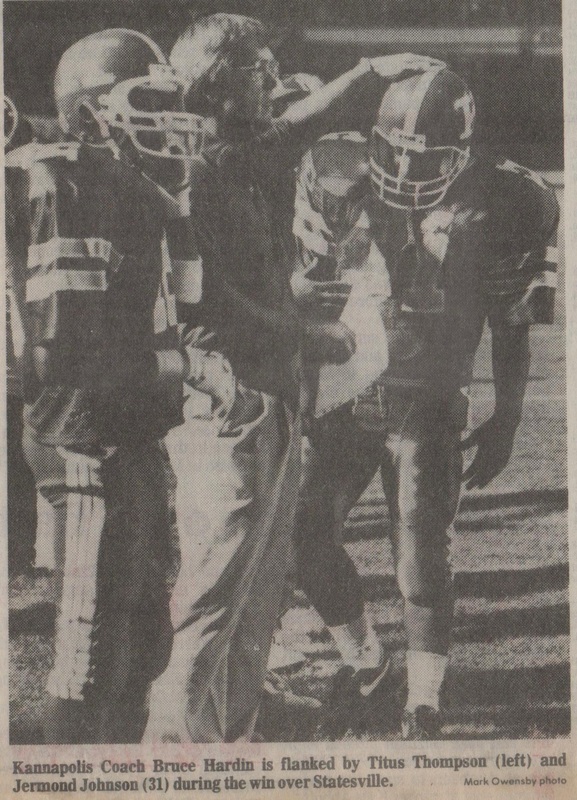 One big area of concern at the beginning of the year would be who would step up and replace their graduated field general and three year starter Maurice "Mo" Blakeney. 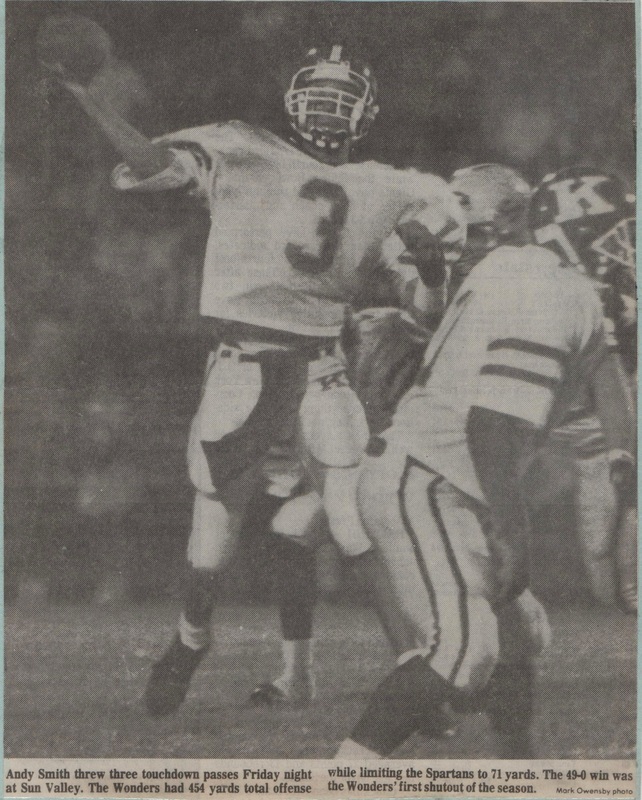 A seasoned, capable quarterback is the backbone to any championship caliber football team and the Wonders had lost a monster in "Mo" Blakeney. 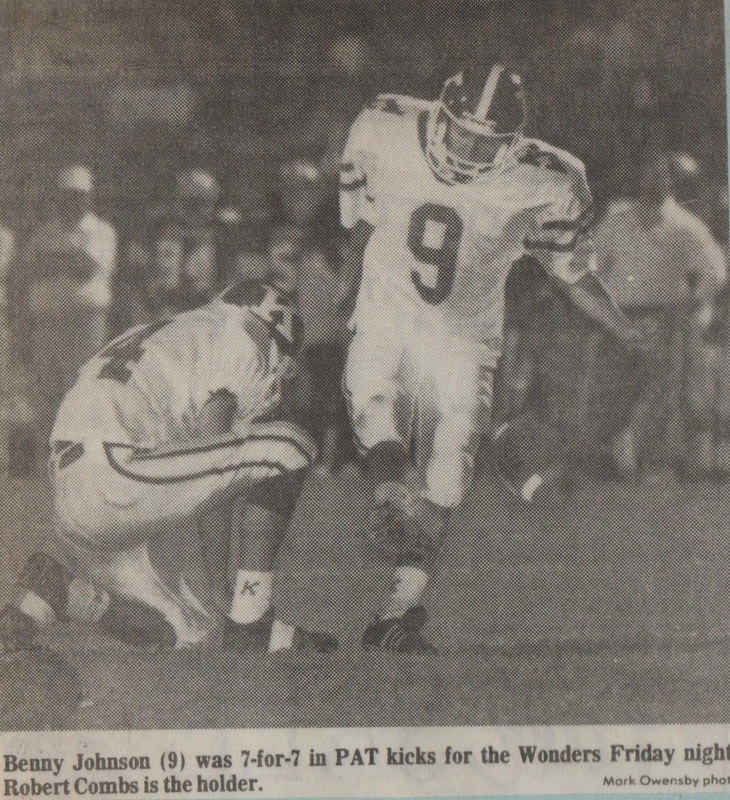 Looking to step into those shoes would be a junior quarterback who had proven himself quite capable in the quarterbacking duties as a JV in 1990. 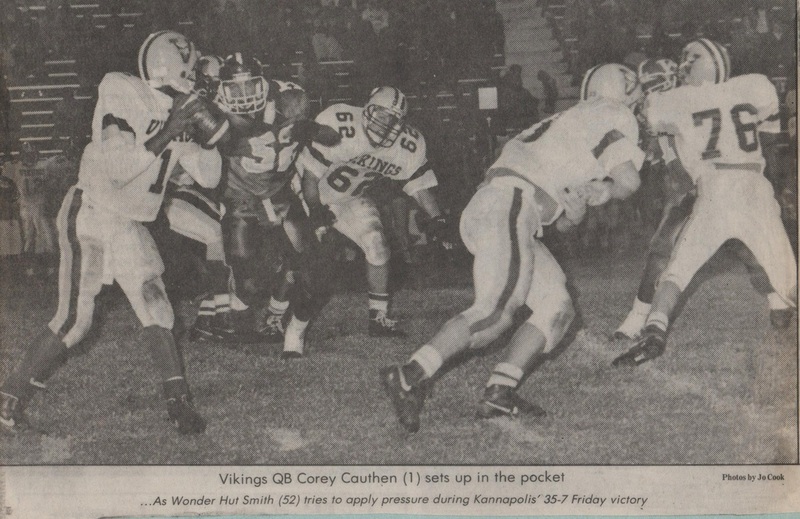 Andy Smith was an imposing figure at the quarterback position standing over six feet four inches tall and weighing in at a comfortable one hundred and eighty two pounds. 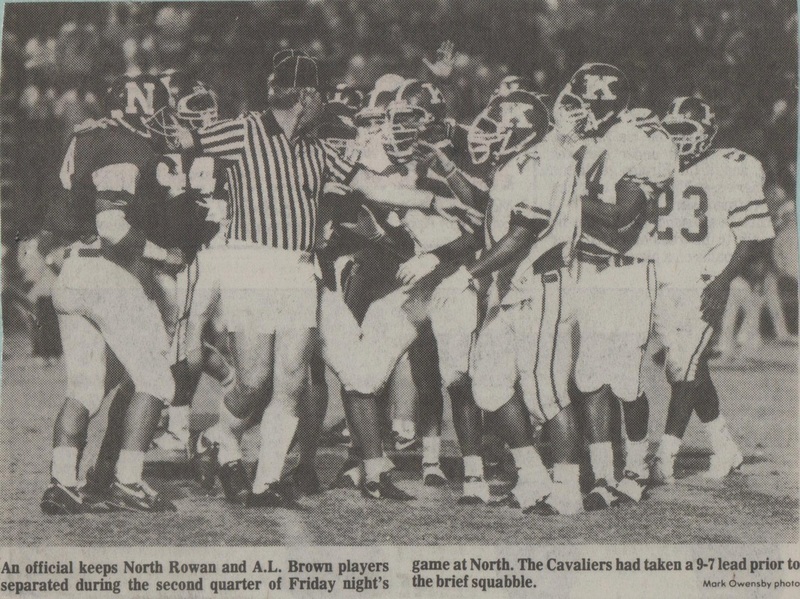 Seeing over the line would be no issue for Smith. 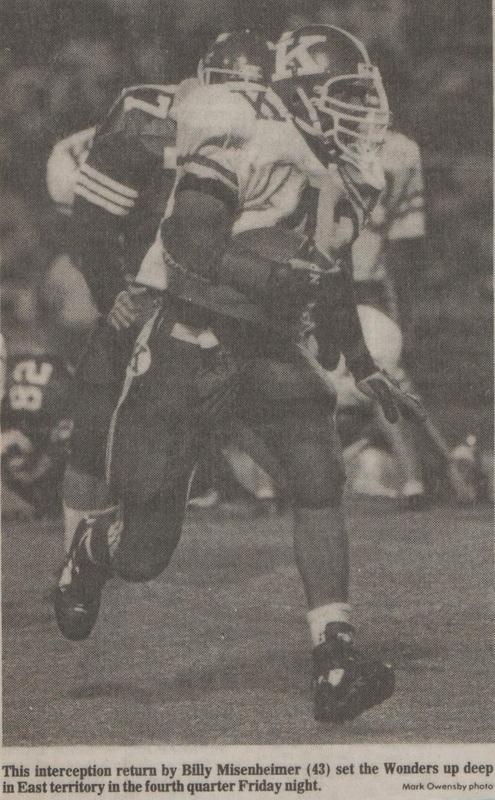 Behind Smith would be a backfield equally as impressive in the likes of three year starter Michael Barnes and new to the varsity backfield junior Keenan Lott. 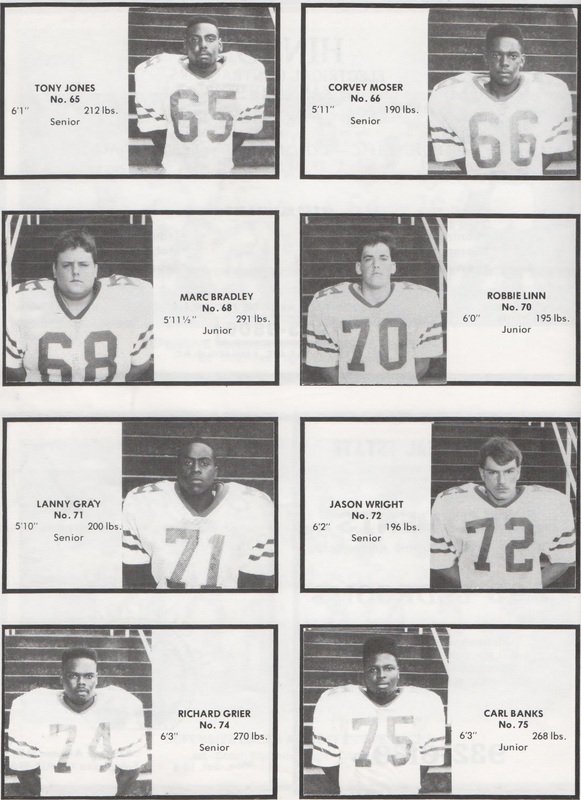 The offensive line comprised mostly of juniors were averaging about two hundred and fifty pounds across the board and were very athletic. 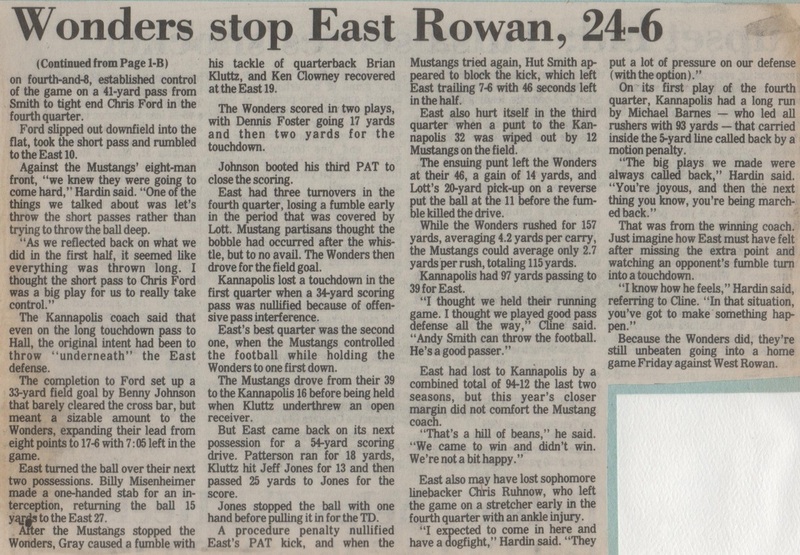 Defensively the Wonders were fast and agile averaging about the same as the O-Line. 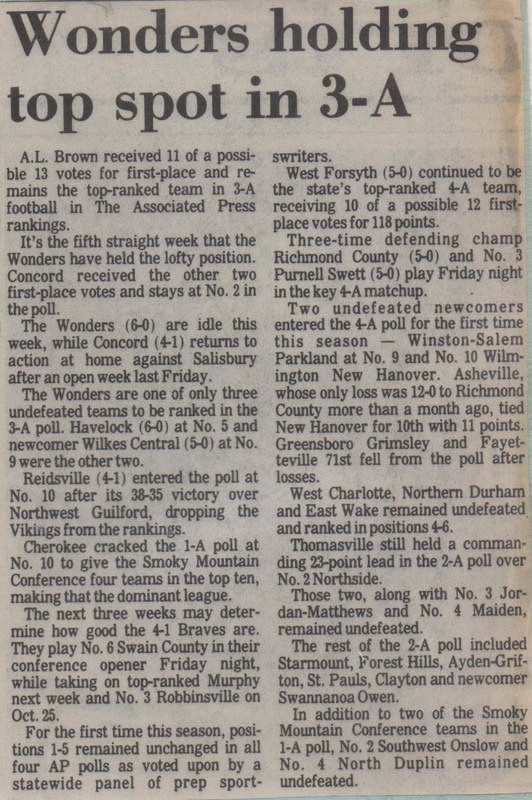 Once again the South Piedmont Conference was fairly balanced with some newcomers beginning to flex some muscle in the likes of North Rowan and East Rowan. 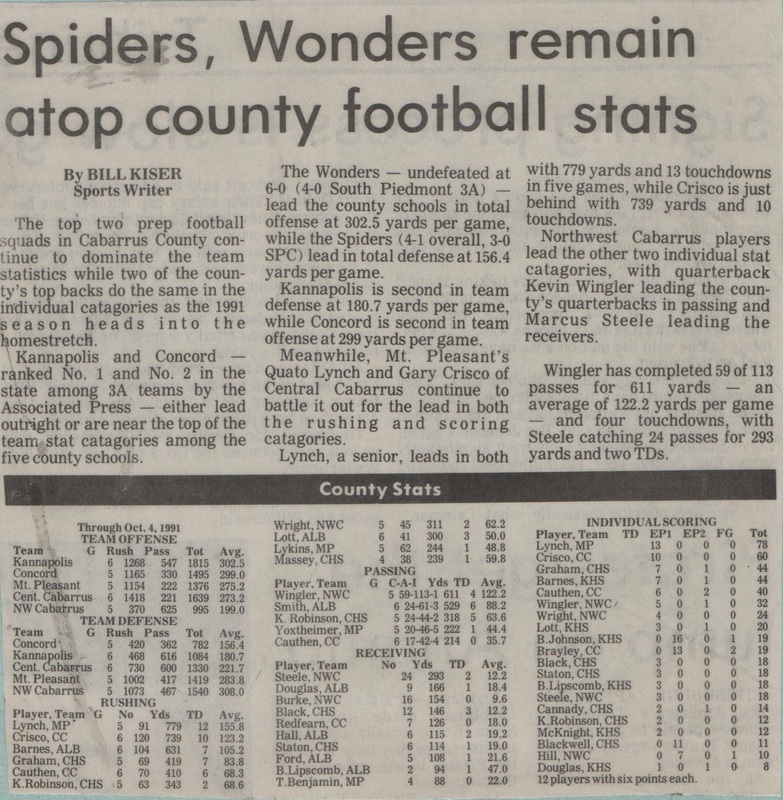 The odds on favorites however were you're mainstays in the Wonders and Spiders from Concord. 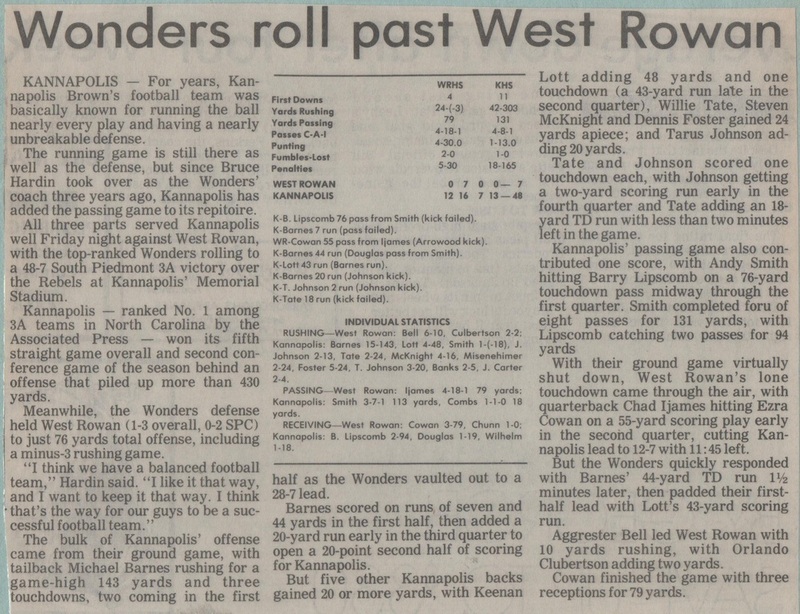 In Bruce Hardin's third year as head coach the Wonders were still antsy having already made it to the big dance in Hardin's first year in 1989 and there were several Wonders who were seniors that remembered that trip to Chapel Hill and were eager to get back. 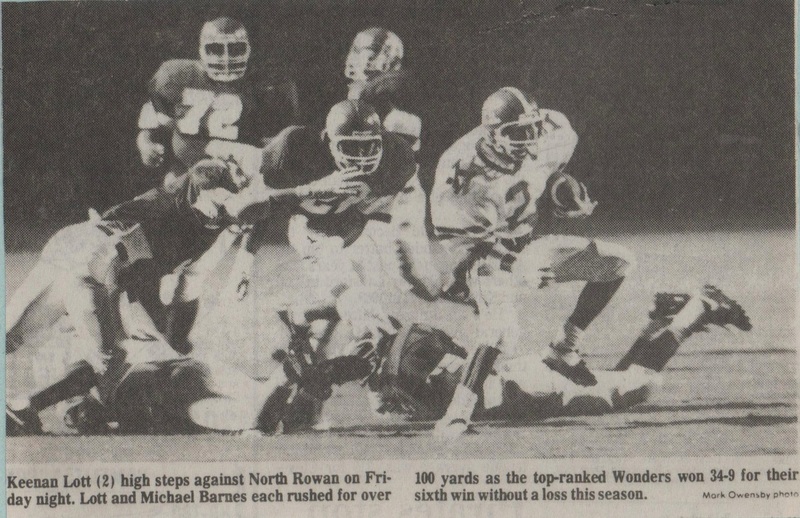 Several obstacles stood in the way of the Wonders aspirations of a return trip to Chapel Hill. 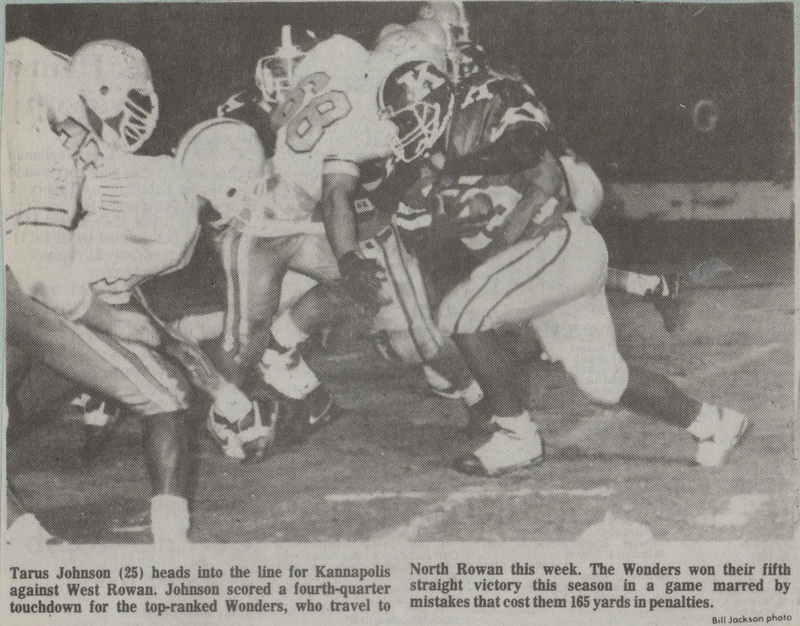 First were the Greyhounds of Statesville who succeeded in ending the Wonders vision of back to back trips in 1990. 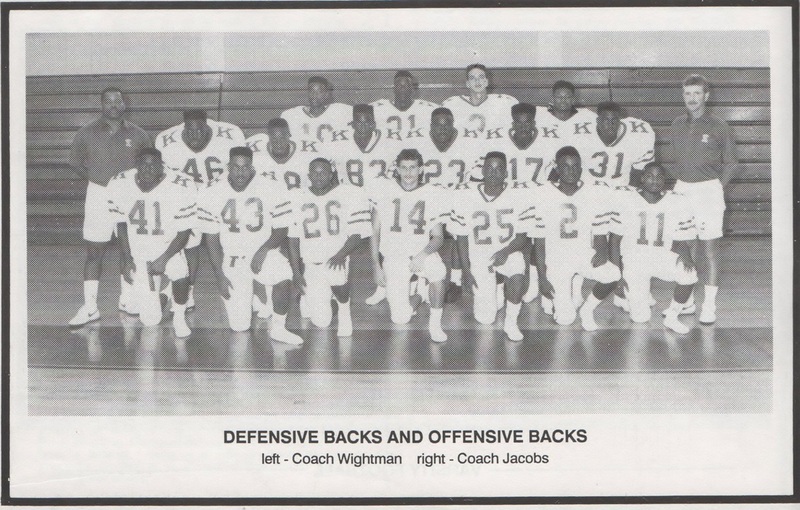 The Greyhounds had been a thorn in the flesh for the Wonders for the last two years and seemed to always prove to be the biggest obstacle for the Wonders in their championship dreams. 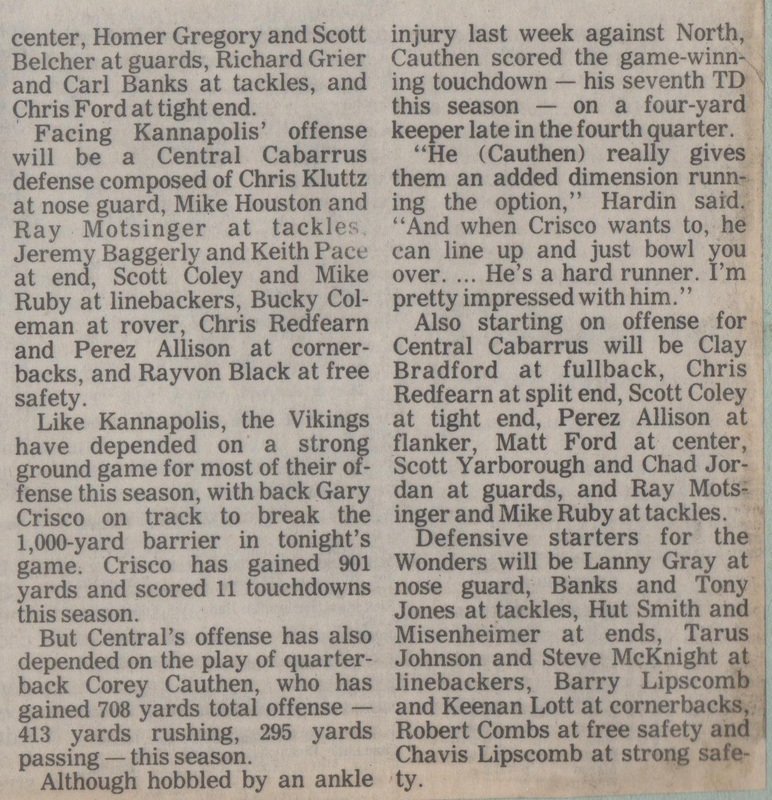 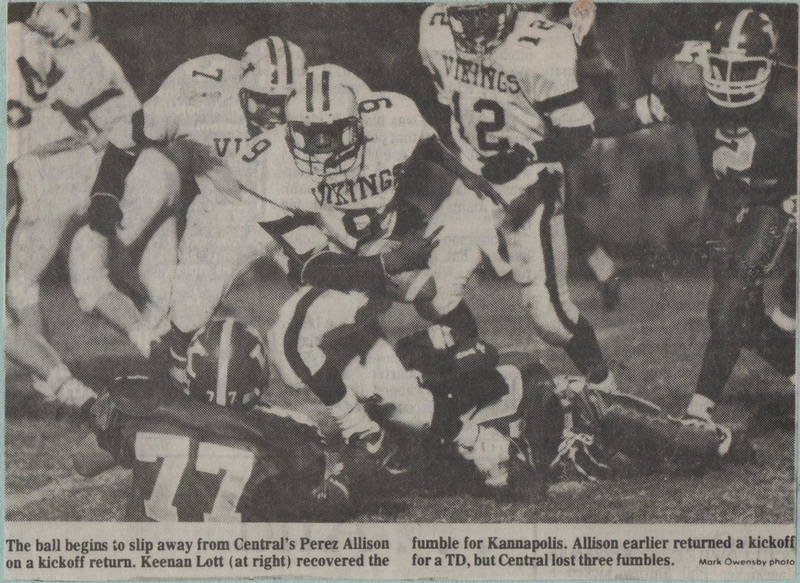 Lastly were cross town rivals Concord who always played tough no matter what the records reflected. 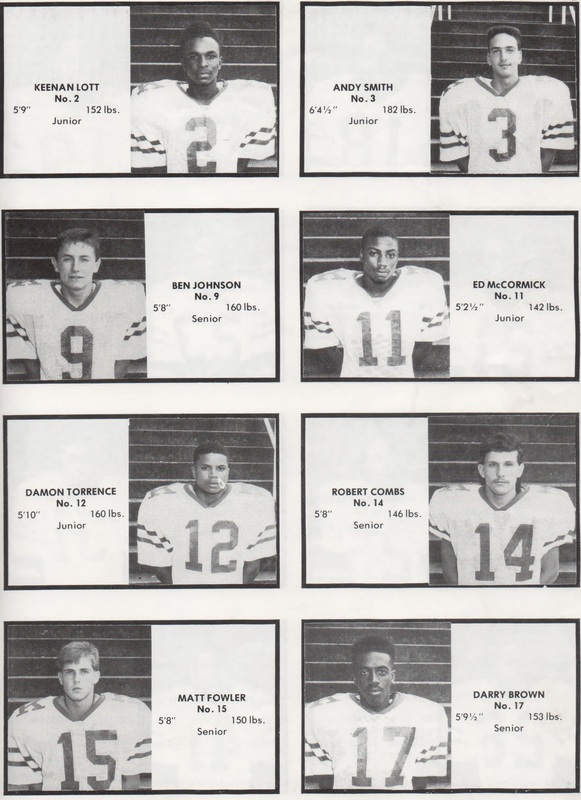 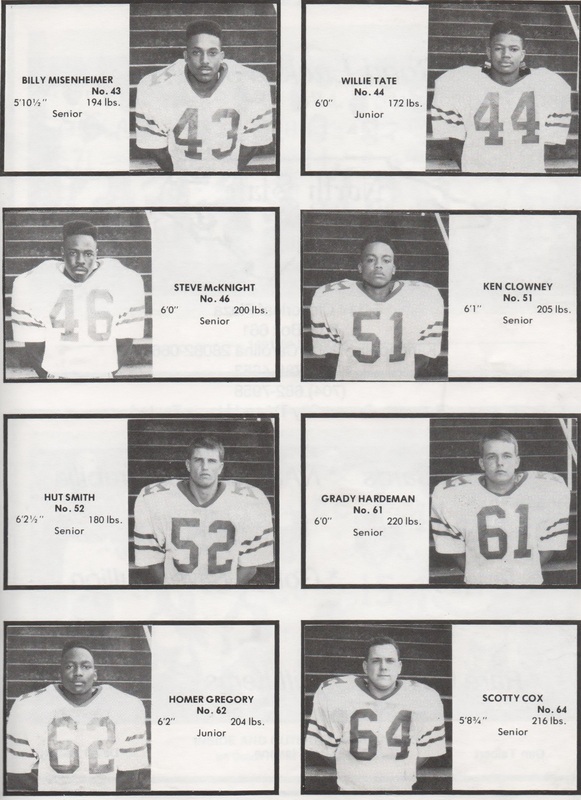 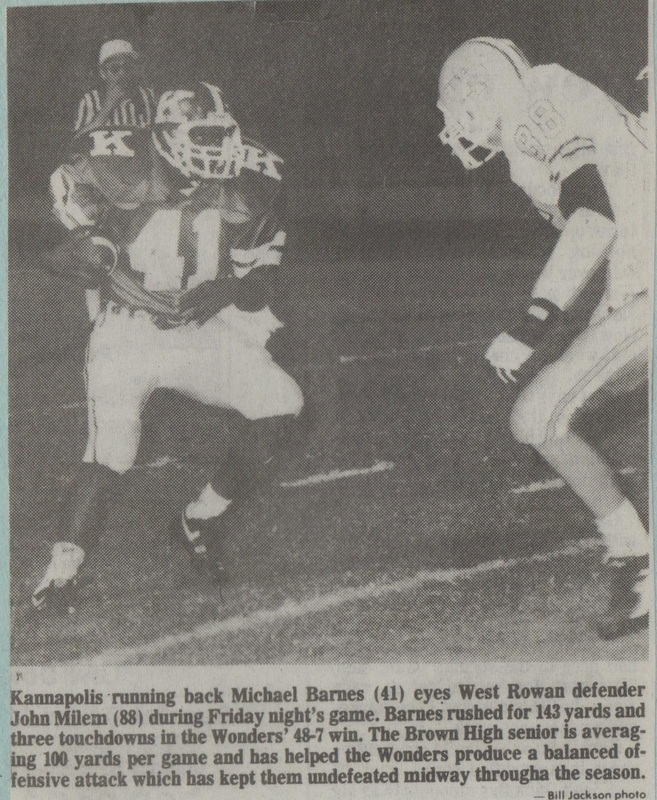 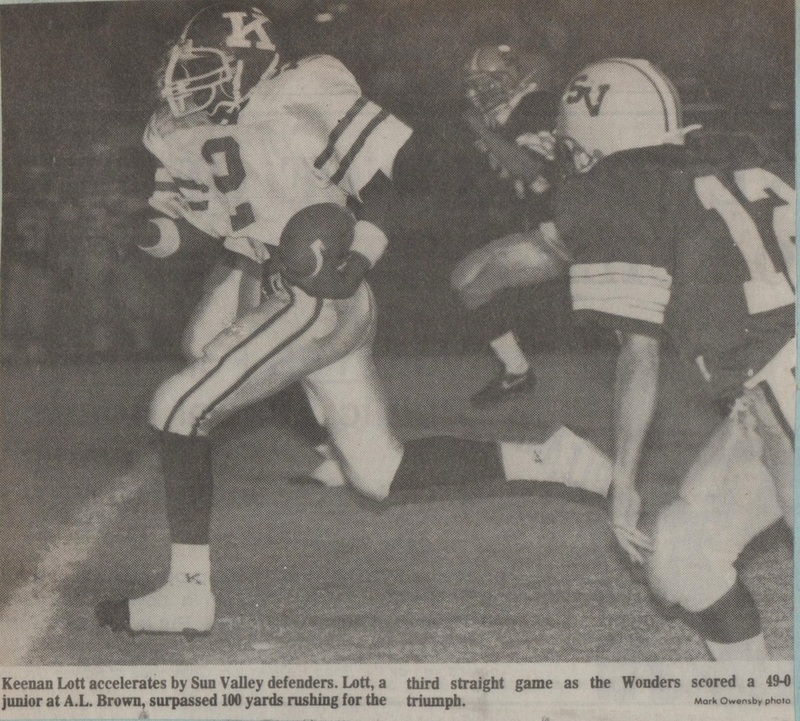 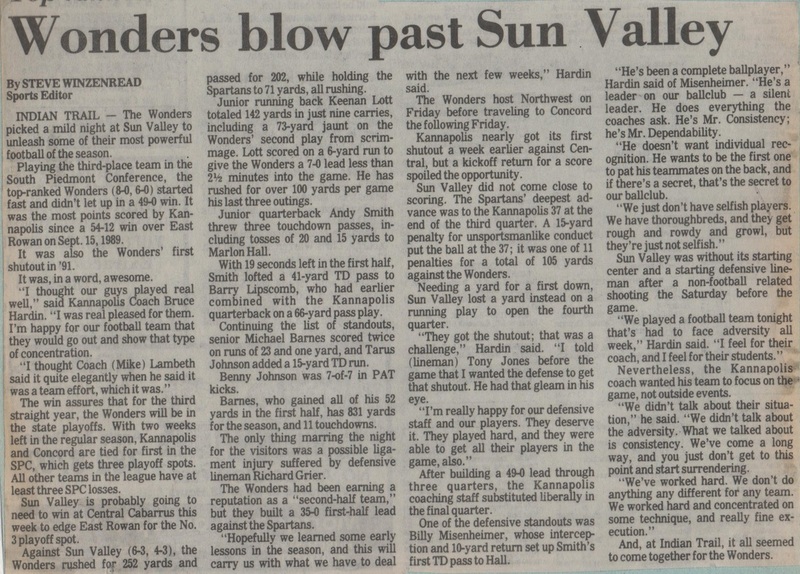 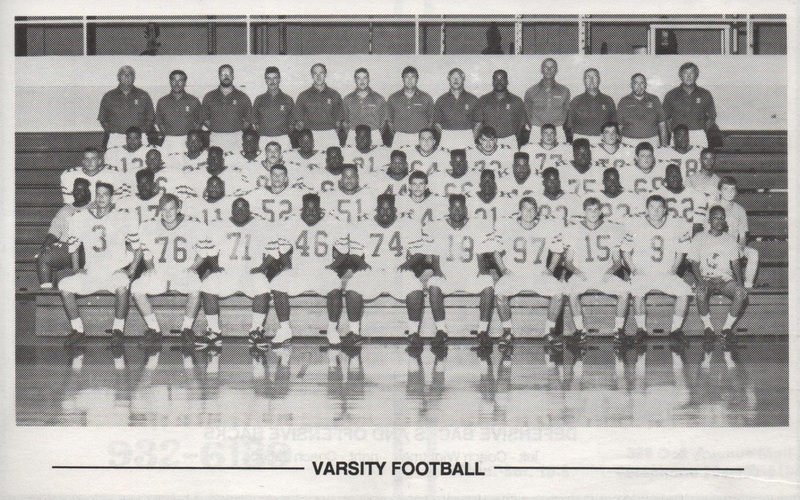 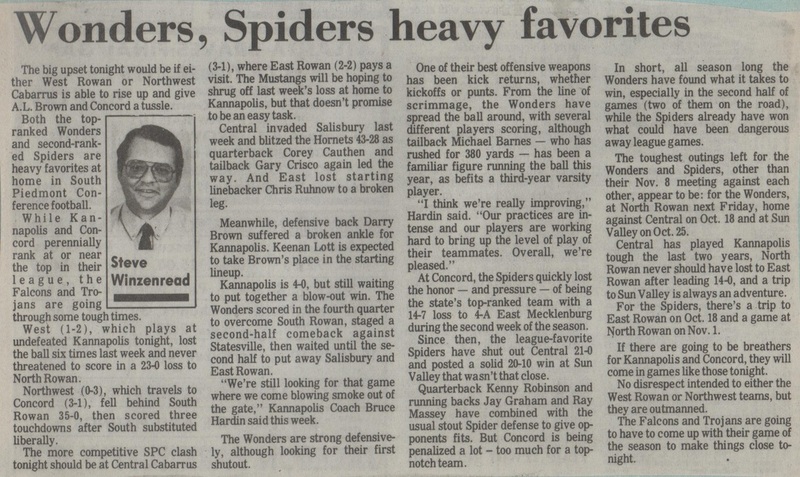 This year the Spiders would return a veteran group of offensive starters that nearly ended the Wonders SPC title hopes in 1990 barring some last second heroics from Mo Blakeney and Scott Jordan. 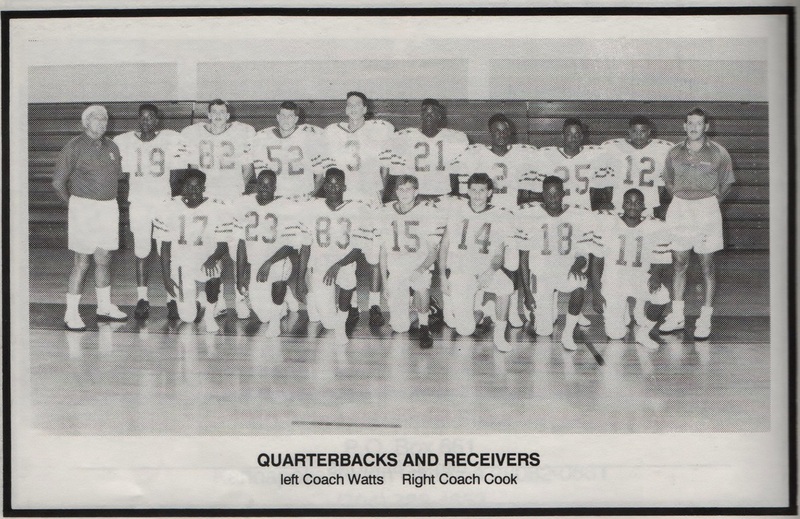 1991 would prove to be somewhat of a shocking year for the green and white as there were more questions than answers beginning the season. 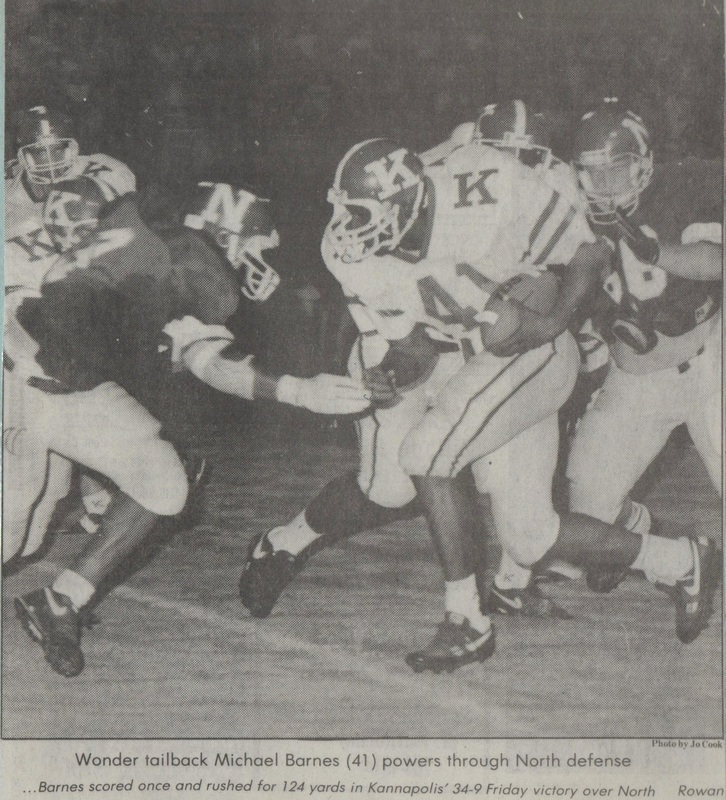 The Wonders opening matchup with arch rival South Rowan would only add fuel to the speculation. 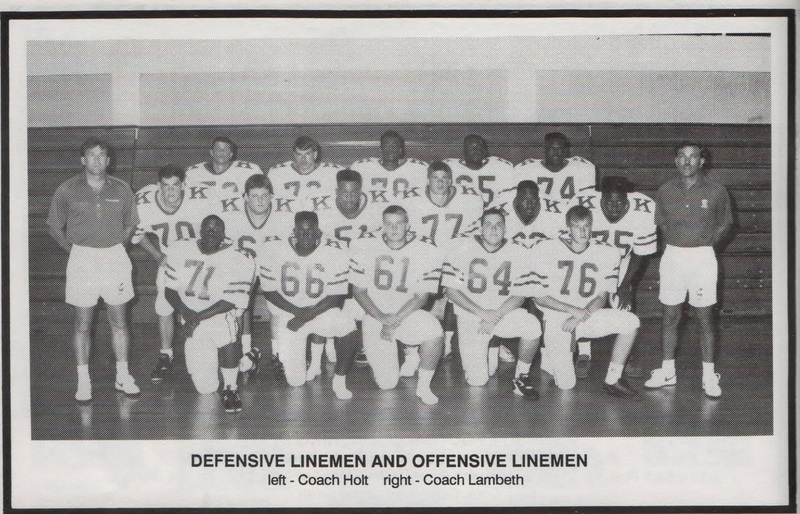 Could this capable yet unpredictable squad take the town of Kannapolis back to the promised land of Chapel Hill or would the question marks be well founded. 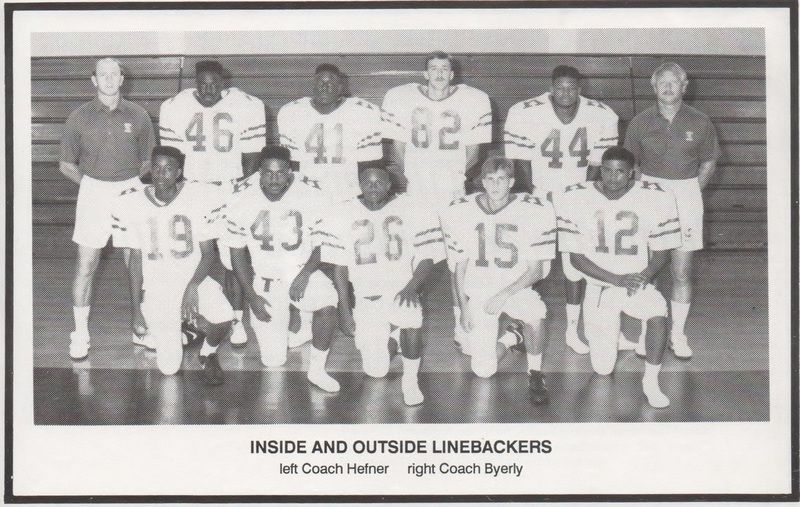 The 1991 Wonders would have to play flawlessly on both sides of the ball and do it consistently to squash the doubters. 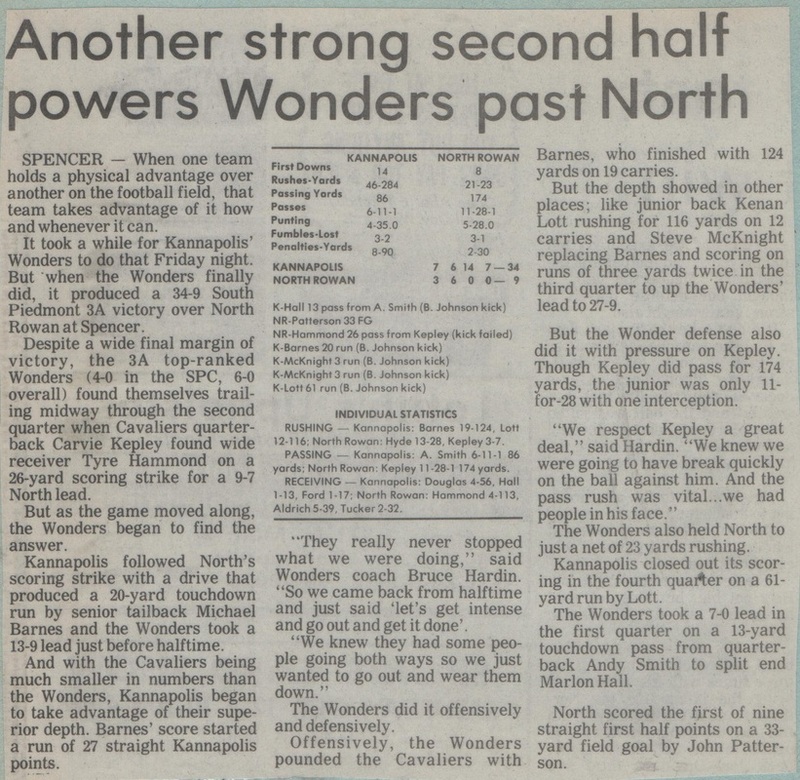 The Wonders would need a consolidated effort on both sides of the ball to be successful, but would a great effort be enough? 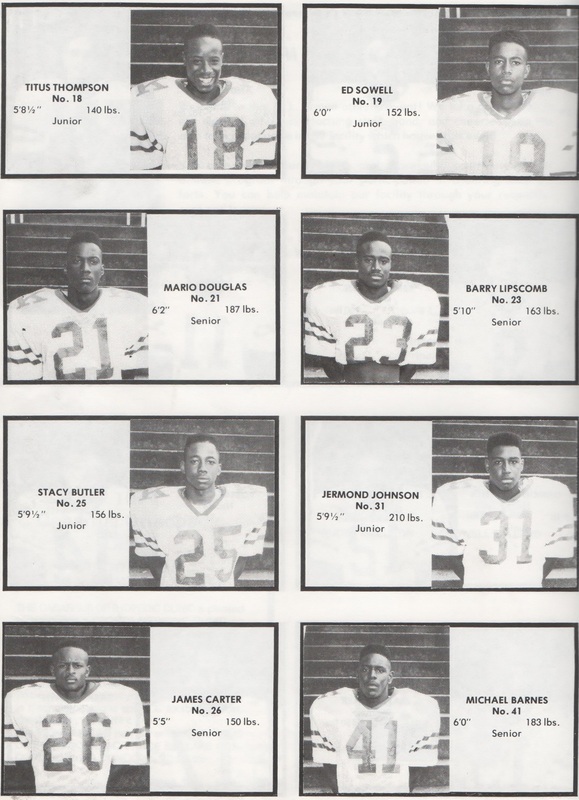 "A Look at the Cast of Characters for 1991"
"Time to Get the Party Started"